A fairly quiet week, this time around. I had intended to see 50/50 at the cinema yesterday, but on discovering it was only playing at the 'Director's Hall' at the multiplex (where you have to pay something like £13 to get in), I decided against paying those outrageous prices. I think I'll just have to wait until it's out on DVD. As well as being someone who watches far too many movies, I'm also a keen chess player - yes, I'm THAT cool. 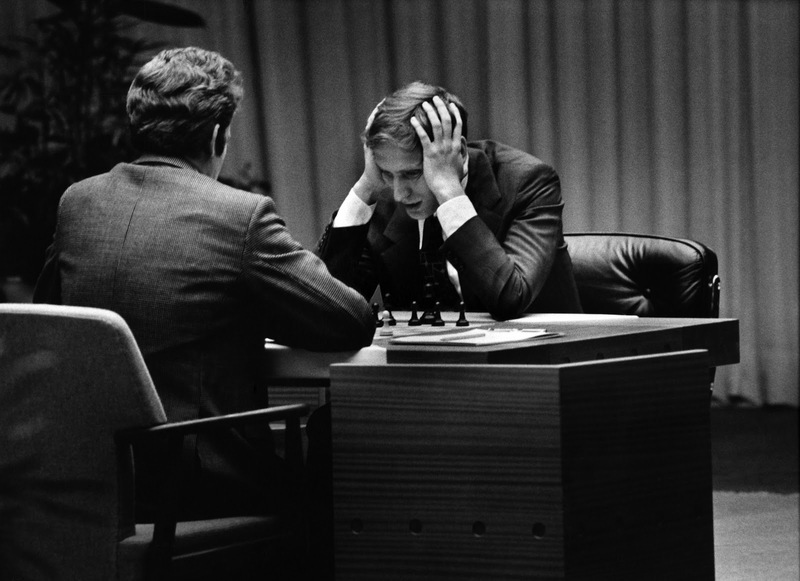 Anyway, whether you're interested in the game of chess or not, the story of Bobby Fischer, one of the few Western players to become world champion, is a fascinating one. The movie charts a course in Fischer's life, from his days as a teenage chess prodigy in Brooklyn, to his famous world title match against Boris Spassky, his withdrawal from public life and to his final years as a rabidly anti-Semetic lunatic. Fischer was, of course, a very private person, but the filmmakers here have found a fairly broad range of former opponents, relatives and friends who were prepared to shed some light on what the man himself was like behind the scenes. Though we may never know the exact reasons behind Fischer's eventual descent into madness, the film makes a compelling case that it was rooted in his childhood; as a boy, his father had left the family before he was born, and his mother was far more interested in radical politics than in her son. This drove Bobby to immerse himself in the world of chess, to the exclusion of all other interests and activities. 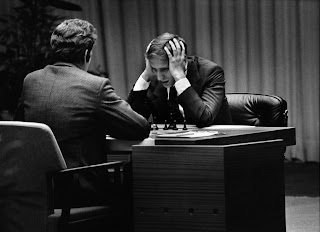 Though at first he was able to exploit this obsession by virtue of his prodigious talent over the chess board, once he won the world championship, he was unable to deal with the fame - and the paranoia and eccentricity which had been present in his character even before his victory over Spassky took over to the point where he became a recluse. It's a very interesting documentary, and recommended for anyone with an interest in Fischer, or chess in general (though one slight quibble I do have is in the lack of actual positions from Fischer's games shown in the film). From Bobby Fischer to another film about a tormented outsider. Tony Richardson's classic early '60s movie is a look into the life of working class tearaway Colin Smith (Tom Courtenay), who has found himself in a Borstal after burgling a local bakery (How's that for alliteration?!). Smith's aptitude for cross country running wins him the admiration of the headmaster of the institution, who wants to exploit the boy's talent as a showcase for the excellent work he feels the reform school is doing. Colin, however, has other ideas... I was a little reluctant about seeing this movie, thinking at first that it might be rather worthy and dull, but I came away having thoroughly enjoyed the picture. I was very impressed with the way the story of how Colin came to end up in the Borstal was told through stream of conciousness flashbacks during the course of his long distance runs, and the film combines great visual flair in its direction, an interesting and fitting jazz soundtrack, some strong performances (particularly from Tom Courtenay) and a stirringly rebellious climax. 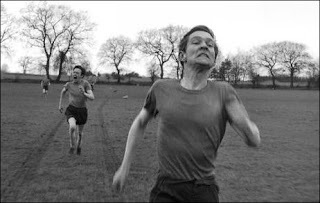 I watched this one as the second part of a double bill with The Loneliness of the Long Distance Runner - and it was a fitting companion to that film. Both movies are by the same writer, Alan Sillitoe, and both explore issues of class and rebellion in a similar period in British history. On this occasion, our protagonist is Arthur Seaton (played by Albert Finney, looking rather more youthful and handsome than when I last saw him on the big screen - playing the family patriach in Big Fish). Arthur is a machinist at the Raleigh bicycle factory in Nottingham by day, but outside of work his interests include philandering, drinking, philosophising about his situation in life - and shooting his neighbours on the backside with a BB gun. The plot in this one largely centres on Arthur's romantic entanglements - he's been having an affair with the wife of one of his colleagues at the factory, but when he meets the beautiful but proper Doreen (Shirley Anne Field), he has to decide in which direction his life is to go. 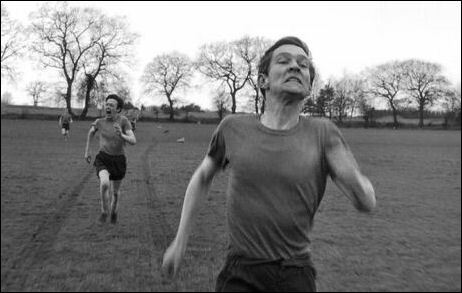 The cinematography here is fine, though is a little lacklustre in comparison with the more inventive work seen in The Loneliness of the Long Distance Runner. One interesting thing I noticed was that the title of the Arctic Monkeys first album is a direct lift of a quote from this movie, one which sums up Arthur's contradictory nature: "Whatever people say I am, that's what I'm not." This was an amusing and entertaining movie on the whole, despite Arthur Seaton being rather an unsympathetic character.